Rosalind Davis is an artist whose central concern is the transformation of space through the disciplines of drawing, painting, sculpture and installation. 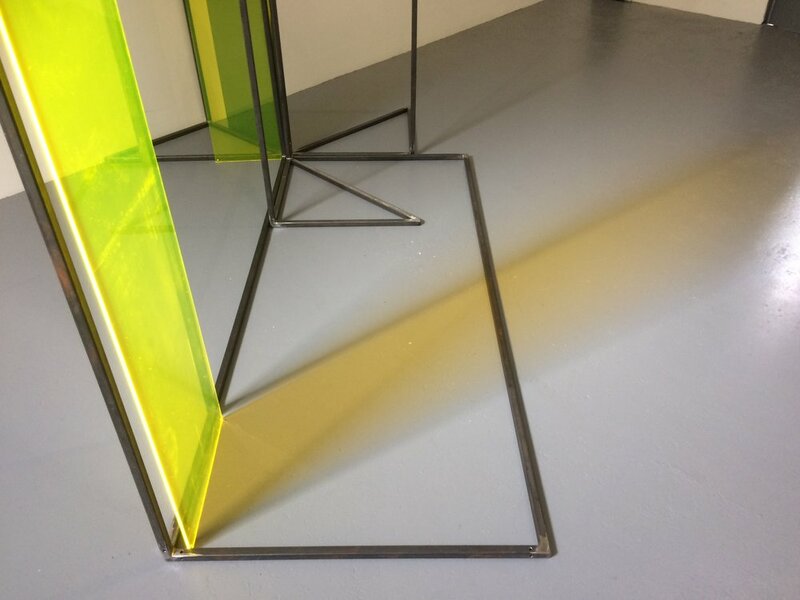 For her solo show at no format Gallery, Davis will create a series of flexible spatial architectural installations; reconfiguring and re constructing modular steel forms and creating a multi-dimensional built material environments incorporating thread, luminous perspex sheets and painted canvases. Threads dissect boundaries or create form across the steel. Playing with the modular nature of the work and the temporal aspects of transformation the installations create illusions within the space which the viewer can both navigate and compose for themselves.